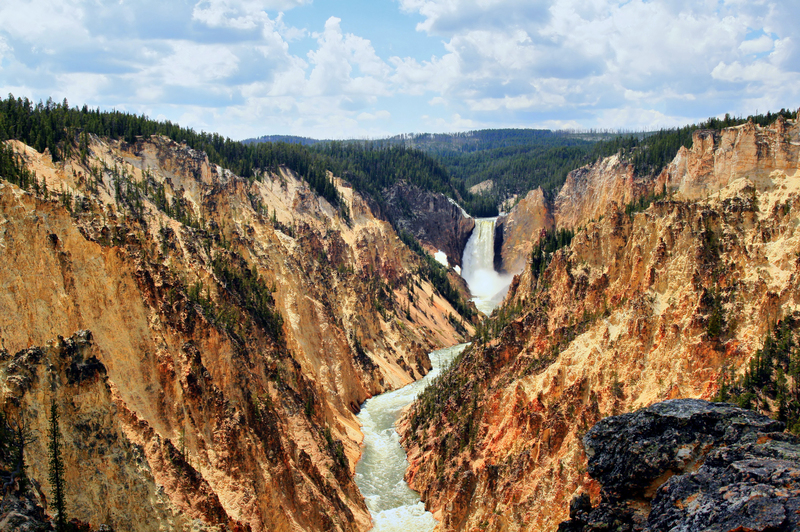 Hike the trails and visit the waterfalls of Grand Canyon of the Yellowstone, a large canyon on the Yellowstone River. The massive canyon is about 39 km (24 miles) long, between 240 and 370 m (800 and 1,200 ft) deep, and from 0.40 to 1.21 km (0.25 to 0.75 mi) wide. The hiking trails feature many observation points. Lookout Point, especially, provides an excellent view of the winding river and rock walls and gives a better sense of the canyon's size. The tallest of the waterfalls is more than 90 m (300 ft) high. To learn more about the geology and history of the canyon, join a guided hike led by a park ranger. Put Grand Canyon of the Yellowstone into our Yellowstone National Park trip planner and find out what's close by, where to stay, and where to head next. Even if the great loop road is pretty full, gets a parking lot at the vantage points with a motor home anyway. A beautiful vantage point with a fantastic Ausbliche on the Colorado River. Be sure to go. The colors of the rocks are great. Just a few steps from the parking lot. This is one of my favorite areas in Yellowstone. There are some great hiking trails here on both sides on the canyon with some amazing views. If you're in Yellowstone, you must visit this area. It's just beautiful!! Wow! This place is awesome. Bring your hiking shoes. All the good lookouts are a relatively steep hike. If you stick to the main lookouts you won't have any issues. Remember your bear spray!